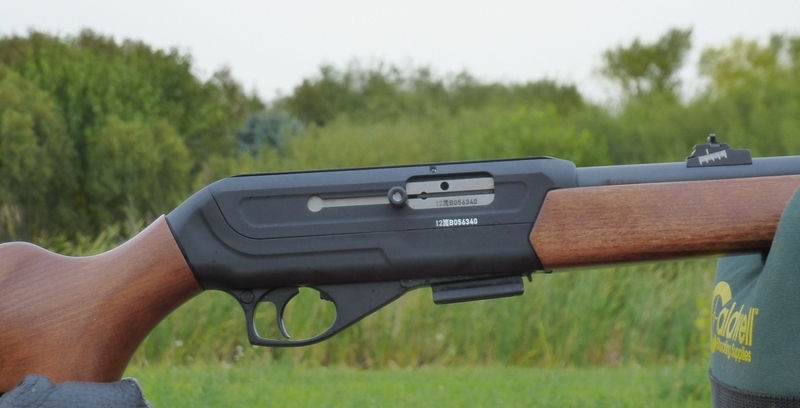 The CZ 512 is the newest autoloading rifle from CZ-USA, a completely different design from its predecessor, the CZ511. There has been a lack of .22 WinMag autoloading rifles in the market so this is a very welcome addition. The same approximate weight and dimensions are shared between the .22 long rifle and .22 WinMag versions of the CZ512. Length of Pull 13.750 in. Out at the range, we used Winchester Supreme 2250 fps 30 grain JHP ammo. At 40 yards with the factory iron sights, it was easy to hold the shots inside two inches. Ejection was extremely positive, throwing the brass six feet or so, and there were no stoppages of any kind. Though there was a bit of take-up on the trigger, there was no grit and it broke consistently and smoothly at 4.5 lbs., far better than average factory rimfire autoloaders. The upper receiver is aluminum alloy; the bottom fiberglass-filled plastic. The beechwood stock is hardly glamorous, but is well-finished and included metal sling studs. The appeal of this rifle is the balance, how well it handles, and the reliability of its action. As a class, CZ hammer-forged barrels have always been exceedingly accurate and that appears to be the case here. It will, of course, take some optics and additional range work to sort that out. The stock design is more designed for optics than the iron sights, in my view. It takes some head-tipping to get a good sight picture and the front blade is coarse. The 11mm dovetail is integral with the top of the receiver, so scope mounting appears to be easy. The initial impressions were all positive. It is a fun, reliable, hassle-free rimfire in .22 WinMag configuration, which has been a neglected segment of the market for some time. CZ is going to sell a ton of these rifles. More info is forthcoming in part two.